When 30 foot long double deckers became legal in the UK in 1956 Ribble took the plunge in a big way by placing an order for 105 Leyland PD3/4s with Burlingham bodies. These impressive buses began to enter service in 1958 and caused quite a stir with their relatively unusual full fronts and front entrances. They were spread widely around the company but large numbers were based on Merseyside and at Carlisle where their large capacity was useful on these urban services. Subsequently Ribble purchased a large batch of similar vehicles but this time with Met-Cam bodies and semi-automatic gearboxes. Somehow these never seemed as elegant as the Burlingham version. Our 1523 was delivered in June 1958 and was allocated to Carlisle where it remained until 1972 when an influx of VRs reduced the need for PD3s. In March that year it moved to Morecambe where it stayed until August 1974 when officially moved back to Carlisle. However at this point it was converted into a driver training vehicle and numbered TV5. It was finally withdrawn in 1981 and passed to the Mersey & Calder Group for preservation. Later it was acquired by some RVPT members and although unrestored it is safely housed in our depot. The Trust also owns similar 1553 which is in less good condition but is available as a donor for 1523 when the time comes. 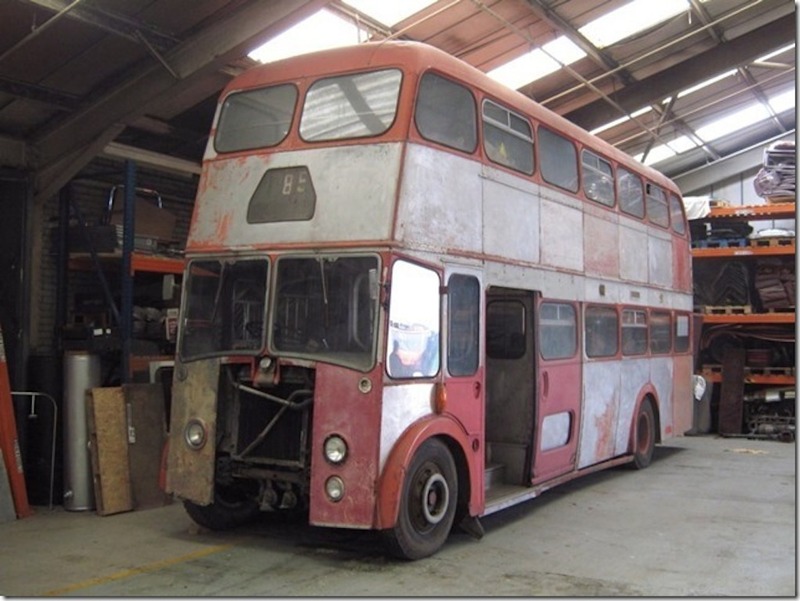 This bus has now been sold to preservationists who are fully restoring it. No longer part of our collection.